Tutankhamun, the ancient Egyptian pharaoh who ascended to the throne at the age of nine, could have once taken part in battle. That’s according to the latest research into the boy king’s leather armor. Theories about the cause of the royal’s death range from an infected leg fracture to sickle cell anemia and epilepsy. Over the years, these theories have created an image of a sickly boy who tragically succumbed to illness at an early age. 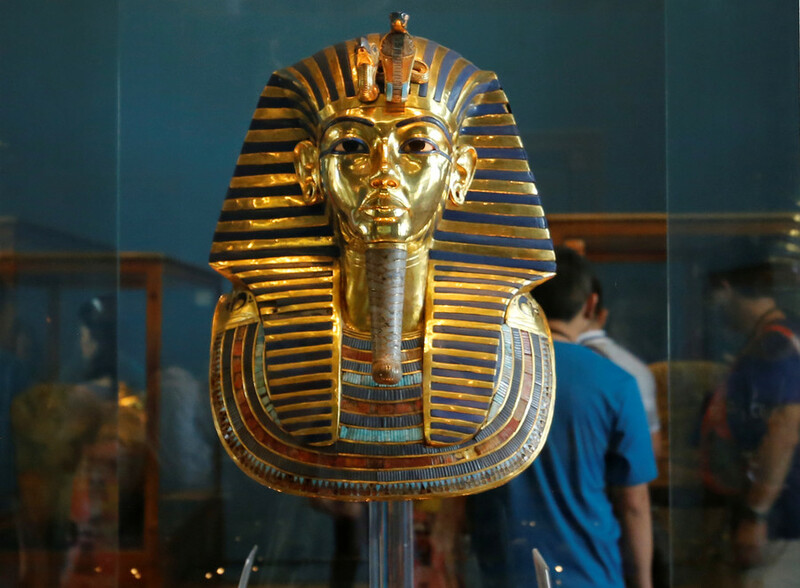 However, a scientist from the University of Northampton in the UK has found evidence that King Tut may not have been as feeble as previously thought. Lucy Skinner, the university's expert on ancient Egypt, developed the theory after helping production staff of a TV documentary to recreate Tutankhamun's leather armor. Using cutting-edge imaging techniques, the team’s scans of the armor, known as a cuirass, revealed signs of wear, marks that suggest the boy had been in battle. The 3,000-year-old leather was found during an excavation of the burial site by British archaeologist Howard Carter in the 1922. However, it is thought that the cuirass was heavily damaged after being removed from its original box after Carter found Tutankhamun's burial chamber. A small portion of the leather armor remains to this day. The pharaoh ruled ancient Egypt during the 18th dynasty in 1323 BC. He is thought to have died aged just 18. Scans of his remains show that he had a slight build and suffered from a mild form of scoliosis, a medical condition in which the spine is misaligned.